As an artist, what are the advantages and disadvantages of being brought up in a family of artists? I think I was pretty damn lucky to have had the environment I had growing up. I come from a large family (seven kids, Catholic), and most of us are in the arts in some shape or form. My mom dappled in many different media, my dad was a photographer, one of my sisters is a painter/sculptor in New York, my other sister is an illustrator, and my oldest brother takes pictures as a hobby. So, growing up I had all sorts of support of every kind, but the greatest advantage I had was in my mom’s library. She was a voracious reader and museum buff, and she had a huge collection of art history books and museum catalogues that I discovered at a pretty early age. That is where I discovered my own appreciation for art and where the influences in my work began. On the other hand, the business side of things was not necessarily available to me growing up, and has been something I needed to learn by myself through trial and error. I’ve been able to learn those lessons with little fallout, gratefully, but I have also had my share of rude awakenings. However that may be, I still look at my commercial photography as more of an art form than a business. It has, and I guess always will be, more a form of personal expression than a way to make a living. In fact, I want it to be more like that in the future as I venture into developing other skills and creative ventures that are away from photography. McDonnell Douglas closed the facility in Santa Monica in 1974 where he worked, and the company started throwing everything away. Everything! They were filling huge roll-off trash containers with expensive equipment, and he and his team were told no one was allowed to take anything off the premises themselves since it was all paid for by taxpayer money. So they all got together and devised a plan that included my dad making a hidden compartment in the back of the family station wagon and snuck what he could out of the compound. So, imagine if you will, that all this state-of-the-art camera and darkroom equipment was at my beck and call from the very beginning of my interest. It was fantastic! My senior year of high school, I received a “D” in my photography class. The reason, I was told by my teacher, was because I was doing all my assignments at home in the family darkroom rather than in the school darkroom. Photography is just one part of my image making process, and my productions usually involve other disciplines, such as sculpture, collage, and set and prop design and build. My big thing was making stuff, and always has been, even from a very early age. As a kid, I would escape the chaos of a full house to my room and build things. I once made a functioning crossbow that could shoot flaming arrows (I was a bit of a pyromaniac). I still love building things, but now it’s for my photography. As long as I am working on a project I’m happy, in whatever capacity. I do want to take a painting class, at some point soon. I once had a part-time job running the photo department for a high-end gallery here in Los Angeles, and was more fascinated at learning about the artists’ techniques than the art itself. One artist created these humongous canvases that were some 15 feet high by about 30 – 40 feet long, too big to fit through any of the gallery’s doors. When that fact finally dawned on me, I asked him and was told the solution. His stretchers were designed to fold in such a way as to not damage the canvas through a complicated hinging system he designed. I find that fascinating. Your portfolio boasts many genres including portraiture, conceptual and commercial photography. Any favorite genre? Conceptual has always been where my heart is, and probably always will be. I’ve been doing it throughout my entire career, even early on when I worked with still life. Even they were conceptually based. They were these kinds of assemblages that were influenced by 20th Century art like Dadaism, Cubism, and Russian Constructivism. They were sculptural in essence, all handmade, and a lot of them were mixed media using cutout photographs thrown into the composition. From there I have made photo-illustrations for fiction and nonfiction stories in magazines, for fashion spreads, commercial advertising, and work with design firms on brochures and collateral. For the most part, all of it has a concept behind it, and I just can’t help myself but to inject some sort of idea or storyline into my work. Even a couple little films I made are of a quirky illustrative nature. And now I’ve been messing around with portraiture and even landscapes, and am back at making still lifes again. And yes, all of it is concept driven, and seems to touch everything I do. Is there someone, dead or alive, that you would have loved to take a portrait of? Wow, that question is a big one. There are so many people whose work I admire. But, if I had to choose one, it would be Wes Anderson. Like many people out there, I am a huge fan, and for me it’s his thinking that I want to know about. Not his thought process, mind you, his thinking. There’s a difference! I want to know what makes him tick as a creative person. I think I would like to chat with him about how he might birth an idea, and create a portrait that is as whimsical as his thinking. Does your process differ depending on the genre? If so, how? I sketch a lot before I go into the studio with an idea, but not everything needs to be sketched out. In fact, sometimes it’s better not to. For example, my portraits usually don’t go through that process unless there is a need to due to a set build or props need to be made. Because portraiture is more about a person with a history and ways of their own, I would rather have some of those qualities come through rather than tie them down to a particular layout design. In most instances, however, sketching my idea out is pretty vital to my process. It always has been. I make them for a variety of reasons- to gage scale, composition, and plan out my lighting are obvious, but also the sketch helps plan the way I make an illusion. I try very hard to make my pictures in-camera, and the ONLY way I have been able to make them successful is because I planned everything out using a drawing. Your work is filled with visual puns and visual coincidences. How do you come up with them? I’m not really sure, and people ask me that all the time. I can’t put my finger on the one thing that is the “how”, honestly. I mean, I sometimes can get an idea instantly and it sticks, or I might labor over it for days trying to come up with the right solution. If it takes that long though, that tells me that maybe this is not the right gig for me. There are times when I have an idea I sit on for months, and just let it stew for a while to see what happens. There may be some loose ends I can’t figure out all the way, so I let it go and wait to see if I get an inspiring thought or see something in my daily path that might solve the problem. Or, it may be that that idea just needs space. What happens is I usually end up creating something different a few months later than when I originally thought of it. Recently, I made a still life of basic shapes made of human hair. It was a challenging idea and I didn’t know how I was going to attach the hair to the shapes successfully. I approached three hair stylists I normally work with, and each of them wouldn't touch it because they weren’t sure either. I sat on it for close to a year until I suddenly thought of the solution. It worked really well, but it took me five solid days to construct and photograph them. My favorite shoots are those that unfold seamlessly, as if the all the planets were aligned.Where everything happens on cue and the ideas just keep flowing from start to finish. I find all the right props, the set design is perfect, and the models are into it and are perfect themselves. It’s magical, really! Your photographs often feel like fables: surrealistic and yet moralistic. What’s your favorite fable? When thinking about that question, I seem to imagine outside of what a traditional, storybook fable is. Blade Runner has remained my favorite film of all time (yes I am one of “those” people), and have already produced a visual story, Gastronopolis, partly inspired by that film. But, not only is Blade Runner a one-of-a-kind sci-fi film that changed that genre forever, but on a deeper level the story is so simplistic in nature and why I admire it so much. The message of “wanting more life” is something we can all appreciate, and even though the storyline is extremely complex, what’s underneath is emotionally engaging for me. Protagonist and antagonist alike are revealed as vulnerable, and that sort of vulnerability is something I connect to on many levels. I like a hero that has the capacity to feel. There’s a lot of craftsmanship in your work. Why craft it when you can Photoshop it? Ever since I was a kid, I liked to build things, and that goes for my photography as well. From the beginning of my photographic career I have used craft in my work, whether it be building sets or props or using collage or photomontage. And, even though the digital age is here to stay, I still like to do things that way. I really haven’t changed my approach all that much, despite the advances in the medium. It is really not because I have some prideful purist philosophy either. I just like working that way. It is creatively very satisfying to solve visual problems with analogue techniques. To make a sketch first without any idea of how I am going to make it work is even more thrilling. Mind you, I have had my share of disasters when I couldn’t make the concept work at all try as I might. But, the other thing is I also don’t think I have the chops when it comes to Photoshop skills like many retouchers I know. The best ones have a background in painting, and know how to render artificially and in a convincing manner. I always believed the best retouchers were artists first, not photographers. I tip my hat to them because they can do things I can’t, and that is just fine by me. For me, there is a tactile quality in analogue imagery that can’t be duplicated digitally. Or, at least not yet! Besides, I would rather be building things than sitting behind a computer all day. It’s fun! Unlike many photographers on Instagram, you don’t overtly showcase your work on your account. How come? Ha! Yes I admit, I have been asleep at the wheel on this one. I am a late bloomer, traditionally, and Instagram is no exception. Ironically, I am just now addressing it by learning how to navigate the program. The advantage for me is that now that there are all sorts of information on the subject, and it is awesome to learn about it. It is such an interesting portal to social consciousness through imagery. Not in the content so much, but as the program is played. It is fascinating to me! So yes, my hope is that by the time this issue comes out, I will have a much larger, more robust presence on the platform. We will see! I think Instagram is important though. This is the way of the visually creative world, and how things are done now. I am just happy that I finally woke up to the party. How has the digital age impacted your career as a photographer? Commercially yes! Creatively, no! I think it is more of a shift than a deficit, quite frankly. It’s changes in the industry like that cause evolution, and I have to evolve with it. Not so much in content, but more my audience. Commissions are still coming, but I am shooting for myself more and more. I am also working closely with my curator to expand in the area of fine art. That is where the universe is telling me to focus my attention at the moment, and I like it a lot. It is giving me even more creative freedom. My work has always been niche, and I don’t shoot celebrities as a genre. Nor do I do lifestyle work that is very in right now. Couple that with my preference for higher production, and it becomes a little more difficult to find the right project that is suitable. When I meet art directors and art buyers, I have repeatedly been told that they are waiting for the right project to come across their desk. And many of those promises have come true, and those projects have been so rewarding creatively. So for me, finding the right audience is the objective, and not necessarily creating new work “to get the job”. I’ve tried that and it just doesn’t work for me. Never has! For me, the call is to not only evolve, but diversify, also. I am working on other projects in and outside of photography, and slowly I am able to monetize them. It’s exciting! What are three pieces of advice that you would give to all the future photographers out there? I teach photography at a couple of institutions and I like giving like that. So, what I tell them first is pretty cliché, but shoot what you love and the money will come. That philosophy has NEVER failed me, and believe me I have tested it many times. Second piece of advice is to diversify. I just read Big Magic by Elisabeth Gilbert and she suggests not putting too much pressure on your creative career to make a living. It is like putting a stranglehold on your art and it’s like choking it to death. Besides, diversifying and learning new skills can only help your photography. Last thing is never compromise. Always stay true to your vision and your sensibilities. If you do it for a while, it may be hard to get out of that rabbit hole, if you ever can. 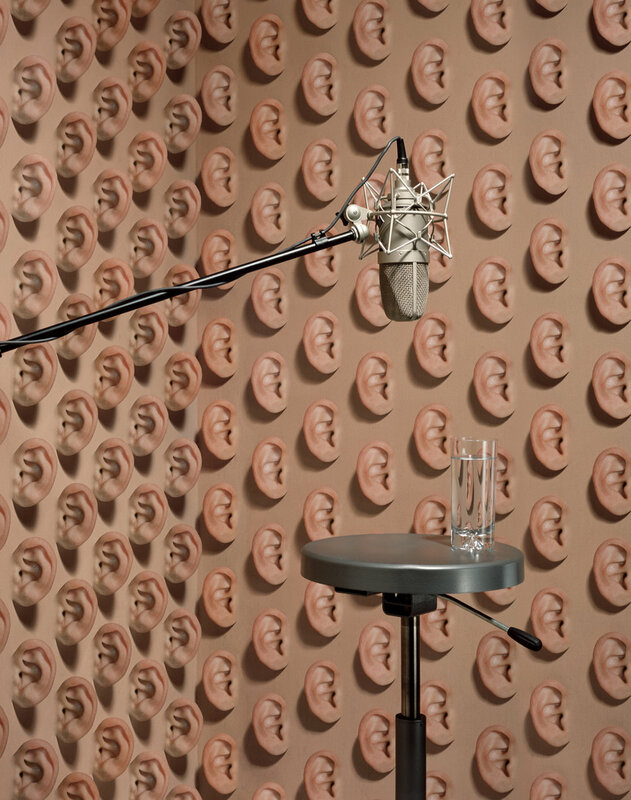 What’s next for Hugh Kretschmer? I want to direct films, and am currently working on an animated short that I hope to have funded this year, if at all possible. The first draft and storyboards are done, and I have a film producer onboard already. I am currently showing it to some film directors I know, and just today met with my third. I’ve had this idea in mind for about five years now and “can’t see the forest from the trees”, and need some help. That’s why I need to have other experienced people looking at it. I want to make sure the story is solid and approachable. Regardless, the film’s look and feel will be strictly photographic, and I will be employing many of the techniques I am known for-collage and assemblage, symbolism and metaphor, etc. For me, film directing seems the “next thing”. I just like the collaborative process of filmmaking, and when sound design and music are added to the moving picture, it is a more emotional experience for me. I also think I get to tell my stories in a more complete way, and from still to motion, is an easy segue for my sensibilities. All that said, I will not be trading in my still cameras any time soon. I just love photography too much. I hope to be shooting until I am an old fart. Stay tuned!